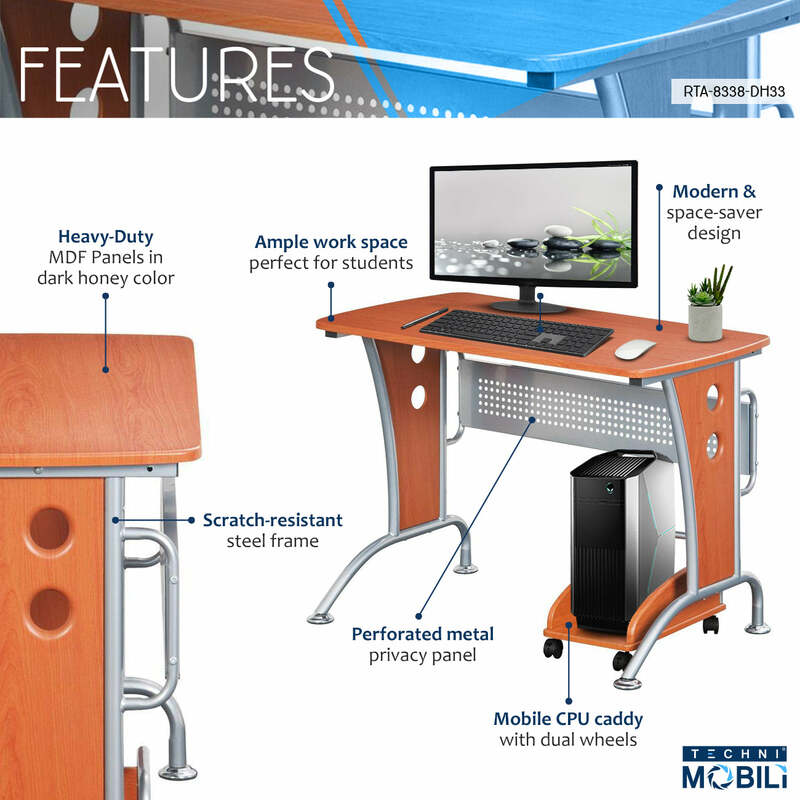 This modern Techni Mobili Computer Desk has a modern refined design with an ample writing and work space perfect for students. It features a matching mobile CPU caddy and a rear perforated metal modesty panel which provides visual privacy below the work surface and covers cabling. The spacious desktop has a 120 lbs weight capacity. The modern and refined desk is made of MDF panels in Dark Honey color with a moisture laminate veneer a top scratch-resistant powder-coated steel frame. Color: Dark Honey.